PLEASE NOTE This is in 1/144th scale. The kit is laser cut from basswood. For anyone who wants to go medieval, but finds castles too drafty, the next best thing may be a Tudor-style home. This Tudor home is based on the architecture of England at the end of the medieval times. The Tudor style home evolved during the late 15th century and has been popular in style to this very day. This three story, five room English Tudor house kit comes complete with everything that you will need to build your new home. Along with all the Laser-cut wood parts the kit includes the laser cut windows and doors. 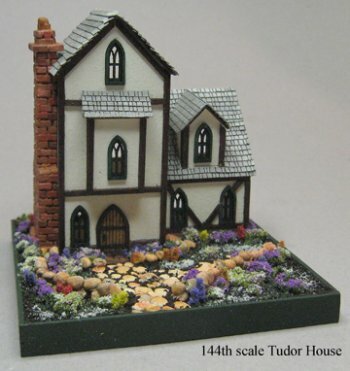 Printed paper shingles and a plastic cobblestone walkway are included as well as a resin cast fireplace, chimney, 2 walls, several rocks, and 2 flower bed rock borders that are ready to paint, help to complete your Tudor House. The only thing missing is your talents and love for this charming piece of English history. 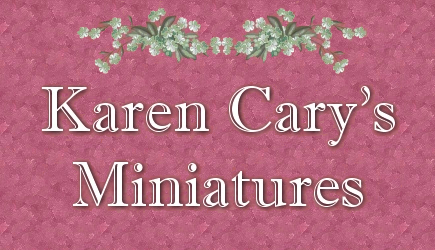 Finished size: base 3" x 3" W 2 - 9/16" H 2-3/4" D 1-1/4"